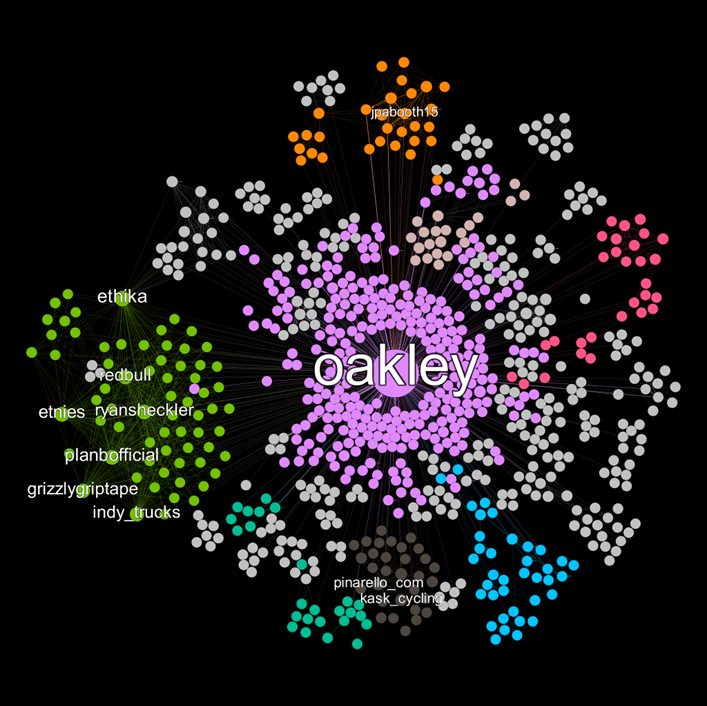 Organized by interests: Differently from Facebook, where most people follow people they’ve met, Twitter is organized around interest graphs. Connections exist between people and interests as well as between interests and interests. Fully public: Your Tweets are public by default; anyone with an internet connection can view and interact instantly with your tweets. Rich hashtags: With the 140-characters limitation, every character counts, so users carefully select the hashtags they use in their tweets’ text. Social network analysis (SNA) is an advanced form of analytics that is specifically focused on identifying and forecasting connections, relationships, and influence among individuals and groups. It mines transactions, interactions, and other behavioral information that may be sourced from social media, which may have been previously limited to CRM, billing, and other internal systems. Who is the focal point of an online community? Which communities are involved in particular conversations? What are the more interesting topics?